The 3 day 24 games tournament will be rated by both WESPA and SAI. The tournament will be of 24 Australian draw and last 7 rounds King of the Hill. CSW 2015 and WESPA rules will apply. 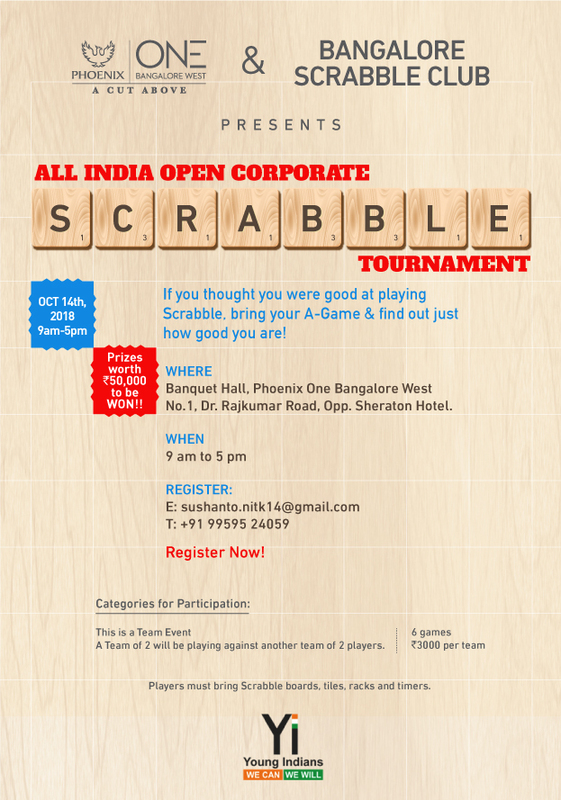 Entry fee: Rs.2300 for SAI members, Rs.2600 for non-members (India), USD 60 for International Players. Fee includes Lunch and mid-morning and afternoon tea and snacks on all 3 days. Registration process:1. Registration fee must be paid in advance by bank transfer (bank details provided below).2. After payment is made, please drop a mail to mumbaiscrabble@gmail.com with your name, payment reference details and meal preference (Veg / Non-Veg). Last date for registration is 3rd Mar 2019. Important instructions:-• Participants are requested to bring their own scrabble board, tiles and clock to the venue.• Participants reaching the venue after 9 a.m would not be allowed to participate in the tournament. All registrations may be done by mailing me at udayan_grover@rediffmail.com or calling me at 98222 09410. I invite you to register at the earliest. 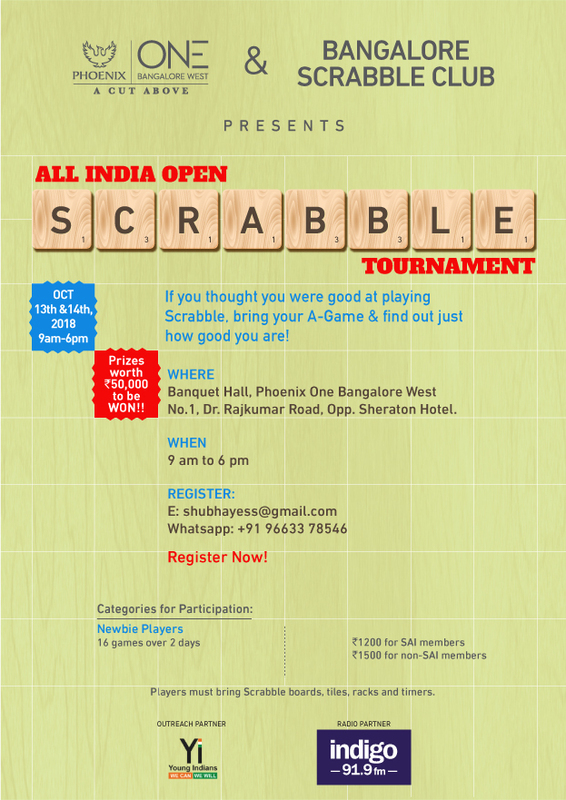 Wordaholix Scrabble League V to be held on November 16,17 & 18 2018.